Want to be notified of new releases in devdap/ArgonDashboard? Argon Dashboard is built with over 100 individual components, giving you the freedom of choosing and combining. All components can take variations in colour, that you can easily modify using SASS files. 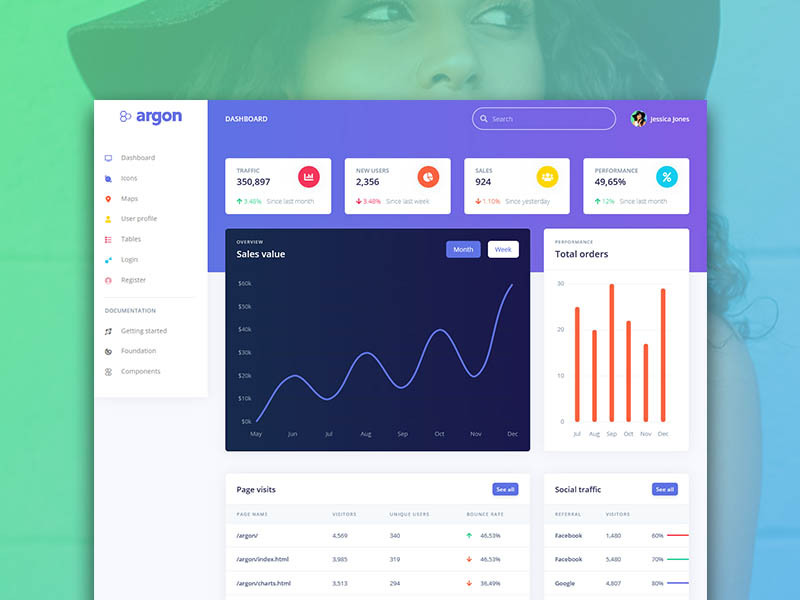 The documentation for the Argon Admin Dashboard is hosted at our website. Argon Design System Created By Creative Tim Under the MIT Licensed.